Hello people of the internet!!! On today’s ‘YouTube Wednesday’ we’re going to discuss an AMAZING former Kpop (Korean Pop) Idol who is currently running one of the best YouTube channels on the site. If you love hearing phenomenal covers of some of your fav songs then you need to check out Kevin Woo! So now let’s get to the videos. Ready? Ok, let’s go!!! The 1st video that we’re going to discuss is Kevin’s cover of ‘Fools’ by Troye Sivan, which was uploaded on November 28th, 2017. If you don’t know of Kevin’s work with his former idol groups, XING or U-KISS, then this cover is an excellent introduction to Kevin’s incredible vocal talent. Also the pink filter on the video gives it a very cool effect that you will not be able to keep your eyes off of. The next video that we’re going to discuss is Kevin’s cover of ‘Rewrite The Stars’ from ‘The Greatest Showman’ soundtrack, which features fellow Kpop Idol Park Ji-min, & was uploaded on March 16, 2018. If you are a Kpop fan, this video adds the extra bonus of showing Kevin & Ji-min reunited on screen for one of the 1st times since their time co-hosting the popular South Korean tv program ‘After School Club’. Honestly this is such a beautiful cover! Their vocals out of this world amazing & their ability to emotionally connect to the song will keep you frozen in awe from the 1st to the last note. I honestly could sit here & write an entire essay about how amazing this cover is, but instantly I’ll let you hear for yourself (the link will be below). I will say that I really really really hope that they realize more covers or an original song together soon! Next up we’re going to talk about Kevin’s cover of ‘Last Christmas’ by ‘WHAM!’, which was uploaded on December 4th, 2018. This is such a fun, entertaining video that once again shows just what an amazing vocalist Kevin is. 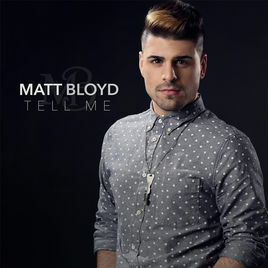 In this cover he is able to demonstrate his great vocal control, while not stripping the song of the heart that has made it a Christmas classic. Also the video is beautifully shot, which shows just how much work Kevin puts into his videos in order to provide his fans with a high quality cover. The last video that we’re going to discuss is an original song by Kevin called ‘Ride Along’, which was released on November 24th, 2018 (you can check out the video below). ‘Ride Along’ is a really fun, catchy bop that will have you singing for hours! In this video we not only get to see just how talented of a vocalist Kevin is, but also how equally talented he is as a dancer. This video honestly has everything you could want in a music video. It has interesting camera shots, fun dancing, & of course features a song that will stay stuck in your head all day. So if you haven’t downloaded this song on any of the major digital music platforms, then you need to do that right now, I promise that you won’t regret it! All photos and information used in this blog belong to YouTube, Twitter, Instagram, Kevin Woo, XING, U-KISS, XING Entertainment, NH Media, Park Ji-Min, JYP Entertainment, Troye Sivan, EMI Music Australia, Alex Hope, Philip Norman, Capitol Records, Universal Music Group, The Greatest Showman, After School Club, Atlantic Records, Benj Pasek, Arirang TV, WHAM!, Columbia Records, Epic Records, George Michael, and all companies, individuals, corporations, managers, writers, producers, authors, publishers, and/or businesses that should receive credit for any book(s), mentioned in this blog post, all of the and all companies, individuals, corporations, managers, writers, producers, and/or businesses that should receive credit for anything mentioned in this blog post, and all original owners. I do not own anything in this blog. If any people, corporations, businesses, companies, etc, were not previously given credit for their work, they are given credit now and their previous absence was unintentional. All opinions expressed in this blog are my own. I wrote this blog for entertainment purposes and no copyright infringement is intended. 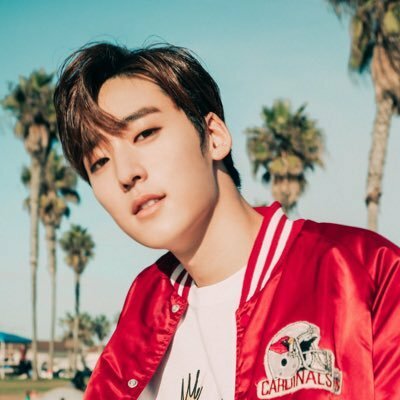 celindareyesblog January 5, 2019 No Comments on YouTube Wednesday: Kevin Woo…from Kpop Idol to YouTube idol. Category: YouTube Wednesday. Tagged: 2018, 2019, After School Club, Alex Hope, Arirang TV, atlantic records, Benj Pasek, Capitol Records, Columbia Records, EMI Music Australia, Epic Records, George Michael, instagram, jimin, JYP Entertainment, Kevin Woo, kpop, music, new, NH Media, Park Ji-Min, Philip Norman, pop, The Greatest Showman, Troye Sivan, twitter, U-KISS, universal music group, WHAM!, XING, XING Entertainment, youtube. Hello people of the internet!!! On today’s ‘YouTube Wednesday’ we’re going to talk about something a little different. Today, July 19th, is the 7 year anniversary of Rebecca Black’s second single ‘My Moment’ (which followed her viral internet hit ‘Friday’). Why am I talking about this you ask? Well because Rebecca Black honestly has a very interesting story that is a HUGE part of YouTube history as a whole (also we did previously discuss the ‘Rebecca Black Effect’ that was a trend for a little while a few years ago, you can check out that post here: http://celindareyesblog.com/2014/06/youtube-wednesday-the-rebecca-black-effect/). Just like TV or film teen stars, Rebecca spent her entire teen years in the spotlight. Now being a teenager can either be the best or worst time of your life, but it’s definitely harder when your attempt at making your dreams come true get turned into a giant worldwide joke. Honestly I never (and still don’t) understand why everyone gave her such a hard time. However what I’ve always liked about this story is how Rebecca was able to use this ridicule & turn it into a career doing exactly what she wanted to do. So today we’re going to talk about how Rebecca Black’s song ‘My Moment’ actually predicted her future. Ready? Ok, let’s go!!! Now as we know it all began when Rebecca’s parents paid Clarence Jey & Patrice Wilson of Ark Music Factory $4,000 to write & produce a song for Rebecca, & record a music video for her. I couldn’t find an exact number in regards to how much money Rebecca has made from ‘Friday’ (although I’m sure we can all guess). What we do know is that this song led to A LOT of opportunities for her. Katy Perry (who was honestly having the best year of her career, at least at the time this post is being written) immediately came to Rebecca’s defense by not only inviting her to perform ‘Friday’ at various upcoming shows she had, but also giving Rebecca a lead role in her ‘T.G.I.F’ music video which premiered in June 2011. Other high profiled celebrities such as: Miley Cyrus, Chris Brown, Simon Cowell, & Lady Gaga also came to Rebecca’s defense, and the song was covered on the 2nd season of the hit Fox show ‘Glee’. Rebecca continued to ride this fame by uploading more original music, as well as beauty/fashion videos on her YouTube channel. Throughout the rest of her teen years, Rebecca hosted the 2011 ‘YouTube Rewind’ as well as the 1st MTV ‘O Music Awards’ Fan Army Party’, has appeared at VidCon (one of the biggest annual YouTube conventions), had her own Go90 (an online streaming site) show called ‘Life After Friday’, as appeared on the reality show ‘The Four’, is an ambassador for anti-bullying campaigns, and so much more! So now back to your original question, why are we talking about ‘My Moment’? Well although ‘Friday’ is what made Rebecca Black famous, ‘My Moment’ is what showed that she had staying power. Most of us have dealt with some sort of bullying in our lives, but nothing compares to the worldwide ridicule that Rebecca faced. To go through that throughout your teen years & still pursue in a career in the entertainment industry is not only admirable, but also very brave. However, personal strength & determination alone don’t make a successful career. Rebecca could’ve easily become just a forgettable part of internet history, but instead has been able to hold our attention all these years later. If you think about it, there have been other “internet sensations” that have quickly burned out, and now are never mentioned. Even though internet fame can come quickly, it can also disappear even more quickly. In the opening lines of ‘My Moment’, Rebecca says, “Weren’t you the one who said that I would be nothing, well I’m about to prove you wrong”, and it looks like she was right. 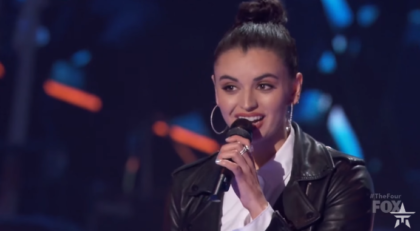 celindareyesblog July 19, 2018 No Comments on YouTube Wednesday: A look back at the song that REALLY solidified Rebecca Black’s career. Category: YouTube Wednesday. Tagged: 2011, 2018, 20th Century Fox Television, 7 years, ABC News, ARK Music Factory, Brad Falchuk, Brandon Hamilton, Capitol Records, Charlton Pettus, Chris Brown, Clarence Joy, Columbia Records, facebook, glee, Ian Brennan, instagram, James S. Levine, justin bieber, lady gaga, miley cyrus, mtv, music, Patrice Wilson, Quinton Tolbert, RB Records, Rebecca Black, Ryan Murphy, simon cowell, twitter, vidcon, youtube. Hello people of the internet!!! On today’s ‘YouTube Wednesday’ we are going to discuss an AMAZING new channel that I know you’ll will love. With the holiday season upon us the one thing on everyone’s mind is…food. Because of this, A LOT of people join gyms once the New Year hits, so I’m going to introduce y’all to a YouTube channel that will help you combat those holiday pound in a fun way. If you don’t like working out (or even if you do) then you HAVE to read on. Ready? Ok, let’s go!!! The first video that we’ve going to talk about is Jessica’s workout video to Iggy Azalea’s hit song ‘Fancy’ feat. Charli XCX, which was uploaded on June 25th, 2014. This is a really fun introductory video for this channel, because you get a small taste of the fun, heart pounding workouts that you’ll get on this channel. The moves in this workout are not hard to replicate, and are a great starting point for someone who wants to get into shape, but doesn’t like to workout. I mean who doesn’t love to dance right? Right! The next video that we’re going to talk about is Jessica’s workout video to Fifth Harmony feat Kid Ink’s high energy song ‘Worth It’, which was uploaded on May 15th, 2015 (you can check out the video below). This is another fun video that will definitely get you moving! In this video Jessica shows us a full body workout set to this song, that will have you replaying this video over and over. The best thing about the moves in this video is you can learn them and then add them to just about any upbeat song, and get a hard workout that’s a little different everytime. It’s definitely worth a look! Next up we have Silento’s viral hit ‘Watch Me (Whip/Nae Nae)’, which was uploaded on June 30th, 2015 (you can check out the video below). Now this is a song that everyone has had on repeat, and a dance that we all love to do. In this video Jessica incorporates the moves from the song, in a high cardio impact routine. If you love Zumba and/or dance that’s set to modern music then you’ll really get into this video. Also, one of the best things about this (and all of the other videos on this channel), is that you get a tough, high energy workout in under 5 minutes, you gotta love that. The last video that we’re going to talk about is Jessica’s workout video set to Miranda Lambert’s song Somethin’ Bad feat. Carrie Underwood which was uploaded on October 22nd, 2015. This is a high energy dance video that has some really cool steps that will work you out, but aren’t too difficult to grasp. Whether you use these videos as a warm-up, or they are you whole workout, you will certainly have a fun time on this channel. I really wish I could’ve talked about all of the videos on this channel because their all amazing! So if you want to keep in shape during this season of food and fun, then definitely subscribe to this channel. All photos and information used in this blog belong to YouTube, dancefitnesswithjessica, Twitter, Instagram, Facebook, Iggy Azalea, Fifth Harmony, Silento, Miranda Lambert, Carrie Underwood, Def Jam Recordings, Virgin EMI Records, Amethyst Amelia Kelly, Charlotte Aitchison, George Astasio, Jason Pebworth, Jon Mills, Jonathan Christopher Shave, Kurtis McKenzie, The Invisible Men, The Arcade, Epic Records, Syco Records, Priscilla Renea, Mikkel S. Eriksen, Tor Erik Hermansen, Ori Kaplan, StarGate, Kid Ink, Capitol Records, Ricky Hawk, Timothy Mingo, Bolo Da Producer, RCA Records Nashville, Sony Music Entertainment, Arista Nashville, Chris DeStefano, Brett James, Priscilla Renea, Frank Liddell, Chuck Ainlay, Glenn Worf, and all other original owners. I do not own anything in this blog. If any people, corporations, businesses, companies, etc, were not previously given credit for their work, they are given credit now and their previous absence was unintentional. All opinions expressed in this blog are my own. I wrote this blog for entertainment purposes and no copyright infringement is intended. celindareyesblog November 28, 2015 No Comments on YouTube Wednesday: Dance Fitness with Jessica, the YouTube channel that you will love this holiday season. Category: YouTube Wednesday. Tagged: 2015, 2016, Amethyst Amelia Kelly, Arista Nashville, Bolo Da Producer, Brett James, Capitol Records, carrie underwood, Charlotte Aitchison, Chris DeStefano, Chuck Ainlay, dance, dancefitnesswithjessica, Def Jam Recordings, Epic Records, facebook, Fifth Harmony, fitness, Frank Liddell, George Astasio, Glenn Worf, guru, Iggy Azalea, instagram, Jason Pebworth, Jon Mills, Jonathan Christopher Shave, Kid Ink, Kurtis McKenzie, Mikkel S. Eriksen, miranda lambert, music, new, new years, Ori Kaplan, Priscilla Renea, RCA Records Nashville, resolution, Ricky Hawk, Silento, Sony Music Entertainment, StarGate, Syco Records, the Arcade, The Invisible Men, Timothy Mingo, Tor Erik Hermansen, twitter, Virgin EMI Records, workout, youtube, youtuber. Hello people of the Internet!!! On today’s ‘YouTube Wednesday we are going to talk about an incredible new artist that you will all have on repeat this fall. If you haven’t heard of Tay Watts then plug your headphone in and prepare for to have your mind blown. Tay will definitely make a mark on the music industry very soon, so keep reading so you can say that you discovered his awesomeness first. Ready? Ok, let’s go!!! The first video that we’re going to talk about is Tay’s cover of ‘Take Your Time’ by Sam Hunt, which was uploaded on February 17th, 2015 (you can check out this video below). 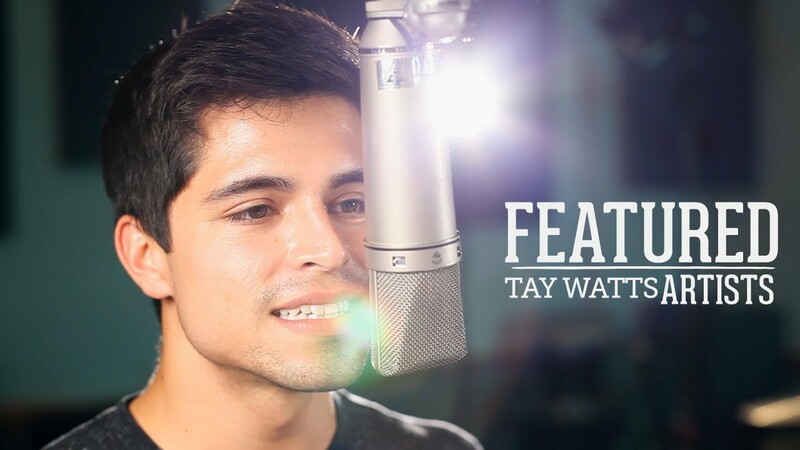 I chose this one because I really love how we not only get a great introduction to Tay’s vocal skills, but also his talents as a guitarist and rapper. He also shows us that he has the charisma and natural stage presence to grab his audience’s attention and keep it from the first note to the last. The next video that we’re going to talk about is Tay’s rendition of ‘The Reason’ by Hoobastank, which was uploaded on April 3rd, 2015. What I love most about this cover, is that we are able to see how well Tay is able to perform with other artists. In this cover, Tay is able to perfectly blend his voice with fellow YouTubers Jake Coco & Corey Gray (who we’ve spoken about in a previous blog post here: YouTube Wednesday: Corey Gray…the singer/songwriter whose music is the best Christmas present you’ll get this year). The ability to perform with multiple other artists is an invaluable skill to have, that proves that Tay is a true professional. Next up we have Tay’s cover of ‘House Party’ by Sam Hunt, which was uploaded on July 22nd, 2015. The reason why I chose this video is because this cover shows us that not only can Tay handle the difficulty of portraying the emotions behind a ballad, but he can also rock out. It’s very important for a musician to be able to control the mood of an audience, because this shows that you are not only a vocalist, but a true artist. Tay proves through this cover that he has the artist depth to make us feel any emotion he chooses. The final cover that we’re going to talk about is Tay’s rendition of ‘The Way You Make Me Feel’ by Michael Jackson, which was uploaded on September 17th, 2015 (you can check out this video below). Now this is an EXTREMELY difficult artist to cover because of the intense vocal and artistic that Michael Jackson was able to engrave in each of his songs. Tay does an amazing job of truly showing off his musical chops in this performance by not only paying tribute to Michael Jackson’s original vision of the song, but by also adding in his own personal touches that shows us who he is as an artist. This cover will give you all the feels. All photos and information used in this blog belong to YouTube, Twitter, Instagram, Facebook, Keep Your Soul Records, Taylor Made Studios, Tay Watts, Jake Coco, Corey Gray, Sam Hunt, MCA Nashville, Capitol Records, Josh Osborne, Shane McAnally, Zach Crowell, Jerry Flowers, Hoobastank, Island Records, Douglas Robb, Dan Estrin, Chris Light Hesse, Markku Lappalainen, Howard Benson, Michael Jackson, Epic Records, Quincy Jones, and all other original owners. I do not own anything in this blog. If any people, corporations, businesses, companies, etc, were not previously given credit for their work, they are given credit now and their previous absence was unintentional. All opinions expressed in this blog are my own. I wrote this blog for entertainment purposes and no copyright infringement is intended. celindareyesblog November 5, 2015 No Comments on YouTube Wednesday: Tay Watts…the artist that you will be obsessing over this fall. Category: YouTube Wednesday. Tagged: amazing, Capitol Records, Chris Light Hesse, Corey Gray, cover, Dan Estrin, Douglas Robb, Epic Records, facebook, Hoobastank, Howard Benson, instagram, Island Records, Jake Coco, Jerry Flowers, Josh Osborne, Keep Your Soul Records, Markku Lappalainen, MCA Nashville, Michael jackson, music, new, Quincy Jones, Sam Hunt, Shane McAnally, Tay Watts, Taylor Made Studios, twitter, video, youtube, youtuber, Zach Crowell. Hello people of the internet!!! On today’s ‘YouTube Wednesday’ we are going to feature Andy Kirka aka RUNAGROUND, a phenomenal singer/songwriter/producer that you will be obsessing over! This is a channel that you HAVE to subscribe to, because regardless of your personal music tastes, you will find covers that you will be replaying all day. It’s rare that you find a musician that can take any song and make it sound original while also keeping the elements that originally made the song a hit. So now let’s get to the music! Ready? Ok, let’s go!!! The first song that we’re going to talk about is RUNAGROUND’s live cover of ‘Set Fire To The Rain’ by Adele, which was uploaded on August 2nd, 2012. I thought that this was an amazing cover to kick tings off with, because we really get to see Andy’s powerful vocals. Needless to say, one of the most important rules of YouTube is that you HAVE to make a great first impression. This cover not only mesmerizes you, but leaves you wanting more. Ok, now let’s move on to RUNAGROUND’s cover of ‘Impossible’, which you can check out below (the James Arthur rendition, which is different than the song’s original version by R&B singer Shontelle), which was uploaded on January 21st, 2013. This cover does a really awesome job of showing Andy’s artistic talent, by displaying that he can fully connect to the emotions of a song. In this video you can really feel the venerability of the song’s lyrics, and Andy does a cool job of mixing the soulfulness of the original version of this song, with a cool punk pop edge that makes this rendition very unique. Now we’re going to talk about RUNAGROUND’s cover of ‘Take Your Time’ by Sam Hunt, which was uploaded on December 29th, 2014. This cover really showed Andy’s talent as a performer, and since we already know that he’s an amazing vocalist, it was really cool to hear his rapping skills. This cover will really make you excited to see how RUNAGROUND’s sound changed in the future. 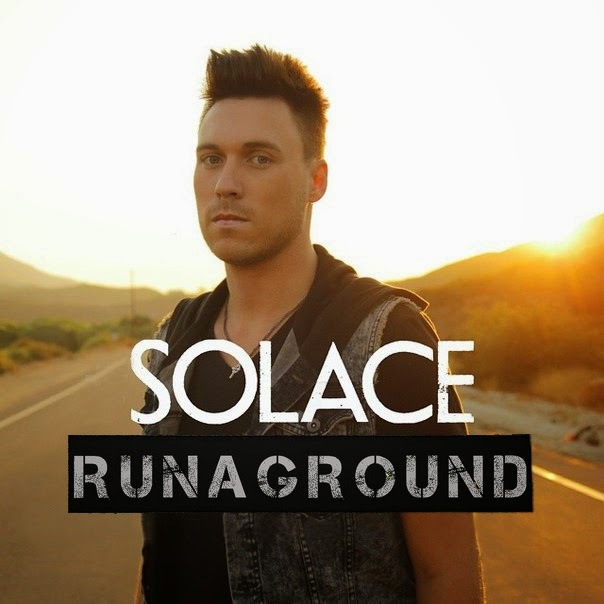 The last video that we’re going to talk about is RUNAGROUND’s official music video for their original song ‘Solace’, which was uploaded on August 21st, 2014 (you can check it out below). This is a really beautifully shot video that has cool camera angles, and really keeps your attention from start to finish. The song is really catchy, and will stay at the top of all of your playlists this fall. It’s so cool to see RUNAGROUNDS original music, since we originally fell in love with the band’s covers. It’s great to see this band’s growth, and will leave you waiting to see what this awesome band does next. All credit goes to , muzicaislife.blogspot.com, all of the businesses, companies, people, and any other original owners involved and/or mentioned in any of these videos and/or hauls, any and all companies, individuals, and/or businesses that should receive credit for anything mentioned in this blog post, and all original owners. I do not own anything in this blog. If any people, corporations, businesses, companies, etc, were not previously given credit for their work, they are given credit now and their previous absence was unintentional. All opinions expressed in this blog are my own. I wrote this blog for entertainment purposes and no copyright infringement is intended. celindareyesblog September 17, 2015 No Comments on YouTube Wednesday: RUNAGROUND, the YouTube band that you will be addicted to this fall. Category: YouTube Wednesday. Tagged: adele, Adele Adkins, amazing, Andy Kirka, Arnthor Birgisson, artist, band, Berry Gordy Jr., Bert Elliott, Capitol Music Group, Capitol Records, Columbia Records, Elizabeth Kirk, facebook, Fraser T Smith, Graham Stack, Ina Wroldsen, instagram, itunes, James Arthur, Josh Osborne, Matt Furmidge, MCA Nashville, Motown, motown records, music, new, RUNAGOUND, runagroundmusic.com, Sam Hunt, Shane McAnally, Shontelle, Sony Music Entertainment, soundcloud, SRC Records, Syco Music, twitter, universal music group, Universal Music Group Nashville, Virgin EMI Records, XL Recordings, youtube, youtuber, Zach Crowell. Hello people of the internet!!! 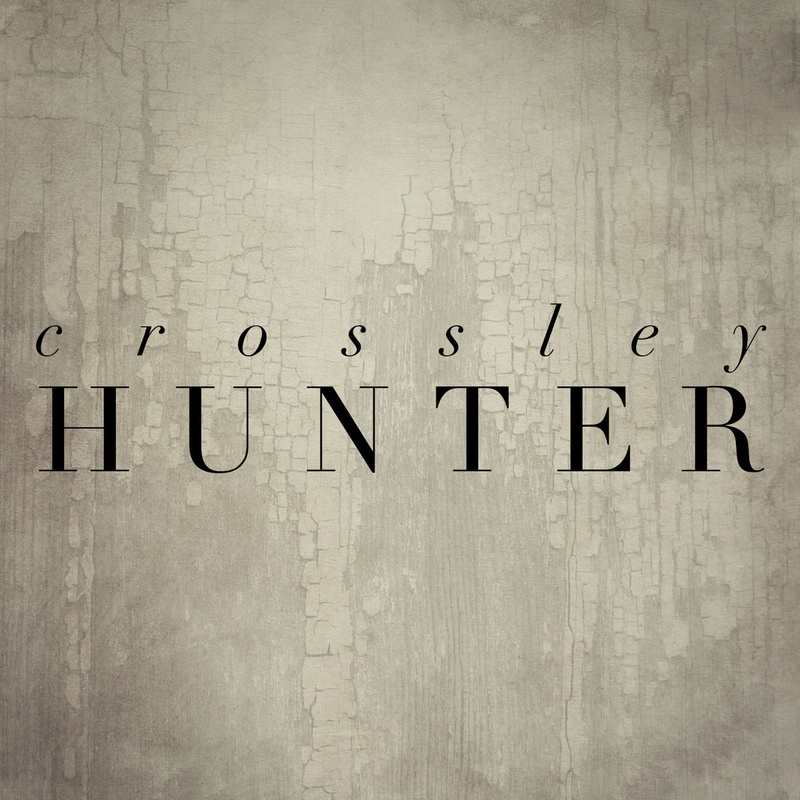 On today’s ‘Monday Memos’ I am so excited to bring you a review for indie rock band Crossley Hunter’ self-titled album, which was produced and engineered by John Wozniak (Marcy Playground) and mixed by Mike Norberg (The Dying Arts) at Mushroom Studio in Toronto, Ontario, and drops August 28th, 2015. A few months ago I first introduced you to this AMAZING band (you can check out that piece here: Monday Memos: Crossley Hunter…the newest band on the rise that YOU need to know about). I was also fortunate enough to interview the band’s vocalist/guitarist Justin Hammond (which you can check out here:Interview with YOUR new fav band Crossley Hunter), which helped us learn about the band’s musical inspirations, how they prepare for live performances, advice the band has for aspiring musicians, and of course, what to expect from this album. Next up we’ll talk a little bit about each song, and then quickly recap why this is a CAN’T MISS album. Ready? Ok, let’s go! 1) Devil Smiling: The first song that we’re going to talk about is the band’s lead single Devil Smiling. I went into greater detail when I spoke about this song during my first piece about the band (located in this post’s intro). After listening to ‘Devil Smiling again, again, I still loved the song’s high energy, catchy lyrics, and overall infectious vibe. This is definitely a great introduction to what you’ll find on the rest of the album. 2) X Rays: If you love songs that you can turn up loud while driving and completely rock out to, then X Rays is your song. This is another song with unforgettable lyrics that you’ll find yourself singing along to all day. There is also an UNBELIEVABLY amazing guitar solo about 2 minutes into the song that you will be OBSESSED with! 3) Heaven Sent: ‘Heaven Sent’ slows things down just a little bit, and allows you to really get caught up in the raw emotion that the lyrics portray, making it a very easy song to connect with. This is definitely one of those songs that you can listen to over and over again, and never get tired of. 4) Burning Bright: What you’ll love most about this song is the powerful vocals that cause you to be completely mesmerized by this song from start to finish. You have to love a song that instantly demands your attention, and keeps you glued to your headphones. 5) Down and Out: Down and Out is another song that shows that this album is serious about establishing Crossley Hunter as a band with it’s own distinct identity. This is also another great example of Crossley Hunter’s incredible talents as songwriters, and musicians, due to their ability to make a song that you can’t get out of your mind. 6) Bring Me Down: This phenomenal rock anthem is a MUST HAVE for all of your playlists. The song is not only full of energy, but also contains emotionally charged lyrics that are so breathtakingly sincere and heartfelt that you’ll HAVE to play this song on repeat for a few days. 7) Like They Used To: In this song we not only get to see the power of this band’s amazing vocals once again, but also the unique depth of Crossley Hunter’s artistry. It’s so amazing to hear an album that still holds strong more than midway through the album. 8) Stomp Clap Drink: ‘Stomp Clap Drink’ definitely has a bit of a different vibe than the first 7 songs on this album, songs but stills has that special Crossley Hunter touch that we’ve grown to love. The addition of the album’s producer/engineer John Wozniak as a vocalist on this song is a fun surprise that fans will love. This song definitely shows that Crossley Hunter isn’t afraid to experiment with their sound, and will make you excited to see how they cultivate their sound for future projects. 9) Edge of Night: Just like the song that preceded it, ‘Edge of Night’ shows the band’s artistic growth, due to the inspiration of other genres that is utilized in this song. This definitely gives the band a more wide appeal and will attract fans that may normally fall out of the band’s demographic. A must hear song for music fans everywhere! 10) No Heart: No Heart is a ballad that has incredibly honest, heart wrenching (no pun intended) lyrics that will hit you hard, and definitely make you feel a large range of emotions. It’s one of those rare songs that not only holds your attention, but also makes you feel everything the writer is trying to convey. 11) Aphelion: Just like the first song on an album, the last song is incredibly important, because it definitely sets your thoughts on what the project is as a whole. Aphelion is another emotionally charged song with honest lyrics that hit you right in the heart, and fits in with the standard that Crossley Hunter has set for itself. The sound of the song is very reminiscent of classic 90s grunge, but once again has that special something that instantly makes it identifiable as a Crossley Hunter song. A perfect ending for this album! To recap, Crossley Hunter’s self-titled album is an album I HIGHLY recommend that you all check out. It really establishes a unique identity for this band, and will instantly capture and keep your attention for the duration of the album. Although the album has a unified vibe that is present throughout the album, there are certainly some songs that will make you excited to see what Crossley Hunter will do with future projects. Lastly, don’t forget that the album drops August 28th, 2014! All credit goes to Crossley Hunter, Twitter, Facebook, Reverbnation, Instagram, Blacktop Records, Ben Andress, John Wozniak, Marcy Playground, Mike Norberg,The Dying Arts, Capitol Records, The Agency Group, Mushroom Studio,Toronto, Ontario, Canada, Thirty Seconds To Mars, 3 Doors Down, Pearl Jam, Coldplay, Rancho Relaxo, The Rockpile, Alien Ant Farm, all companies, individuals, corporations, managers, record labels, writers, producers, and/or businesses that should receive credit for anything mentioned in this blog post, and all original owners. I do not own anything in this blog. If any people, corporations, businesses, companies, etc, were not previously given credit for their work, they are given credit now and their previous absence was unintentional. All opinions expressed in this blog are my own. I wrote this blog for entertainment purposes and no copyright infringement is intended. 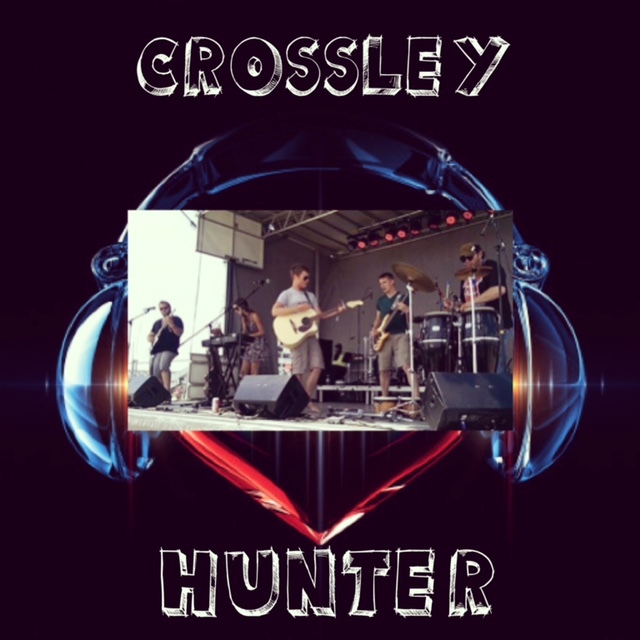 celindareyesblog August 24, 2015 No Comments on Monday Memos: Crossley Hunter Album Review. Category: Monday Memos. Tagged: 3 Doors Down, album, Alien Ant Farm, amazing, Ben Andress, Blacktop Records, Canada, Capitol Records, coldplay, Crossley Hunter, facebook, fun, honest, instagram, interview, John Wozniak, Marcy Playground, Mike Norberg, Mushroom Studio, music, new, Ontario, Pearl Jam, Rancho Relaxo, Reverbnation, review, self, The Agency Group, The Dying Arts, The Rockpile, Thirty Seconds To Mars, titled, Toronto, twitter. Hello people of the internet!!! On today’s ‘Monday Memos’ we are going to discuss our predictions for who will win at the Teen Choice Awards this year. I picked 6 categories and chose who will most likely win based off of how well this particular person/movie/act did this past year. Even though the competition is really stiff I think that we have 6 winners here, but if y’all disagree, please let me know in the comments below. So now let’s get to the fun part! Are y’all ready? Ok, let’s go!!! Now y’all all know that we were all patiently waiting for Insurgent to come out, and when it did, we were not disappointed. The movie made 295.2 million at the Box Office, and stars SO MANY of our favorite actors (and some up and comers that we’re all excited about), honestly how could this movie not win!?! I mean do we even need to discuss this one? This year Sam Smith has won 4 Grammys (including Best New Artist), British Breakthrough Act at the Brit Awards, 3 awards at The Billboard Music Awards, and Best New Artist at the BET Awards. So needless to say, we’re loving Sam Smith right now. We can all agree that we’re still singing along to 1989 (which went #1 in sooo many countries I can’t even name them all here). Honestly, Taylor Swift is one of the most powerful acts in pop music at the moment, so it only makes sense that she wins this award, because she’s Taylor Swift and she’s awesome. This song is one that we hear on the radio ALL the time at the moment, and we still love it. This single was so big, that the music video for the song opened up the 2015 Billboard Music Awards (which you can check my recap of here: 2015 Billboard Music Awards Recap). So needless to say, it wouldn’t surprise me if this song won. Honestly from the moment this show came out, we were hooked. The show has drama, music, interesting characters, complex storylines, and way too much awesomeness for us to even begin to discuss. Even though this is an EXTREMELY tough category ( I mean you have Pretty Little Liars, The Fosters, and others competing), I think that Empire will take this one home. Whether you love this show (or love to hate watch it), EVERYONE knows about Dance Moms. Dance Moms has already won this year at the Kid’s Choice Awards for Favorite Reality Show, and with the growing popularity of all of the girls, their moms, and of course Abby, it’s VERY likely that they’ll take home a surfboard this year. All credit goes to FOX, the Teen Choice Awards, Robert Schwentke, Douglas Wick, Pouya Shabazian, Brian Duffield, Akiva Goldsman, Mark Bomback, Veronica Roth, Red Wagon Entertainment, Summit Entertainment, Manderville Films, Lionsgate Films, Capitol Records, PMR, Taylor Smith, Insergent, Sam Smith, The Divergent Series, Big Machine, Bad Blood, 1989, Republic Records, Kendrick Lamar, Max Martin, Shellback, IIya, Empire, Lee Daniels, Danny Strong, Brian Grazer, Francie Calfo, IIene Chaiken, Imagine Television, Lee Daniels Entertainment, Danny Strong Productions, Little Chicken INC., 20th Century Fox Television, Abby Lee Miller, Maddie Ziegler, Mackenzie Ziegler, Kalani Hilliker, Kendall Vertes, Gianna Martello, Melissa Gsoni, Holly Frazier, Nia Frazier, Jill Vertes, Kira Girard, Jessalnn Siwa, JoJo Siwa, Lifetime, Jeff Collins, Bryan Stinson, John R. Corella, Mike Aho, KImberely Chessler, Michael Hammond, Robert Caplain, Scott Shatsky, Collins Avenue Entertainment, all of the businesses, companies, people, stores, any and all companies, individuals, and/or businesses that should receive credit for anything mentioned in this blog post, and all original owners. I do not own anything in this blog. If any people, corporations, businesses, companies, etc, were not previously given credit for their work, they are given credit now and their previous absence was unintentional. All opinions expressed in this blog are my own. I wrote this blog for entertainment purposes and no copyright infringement is intended. 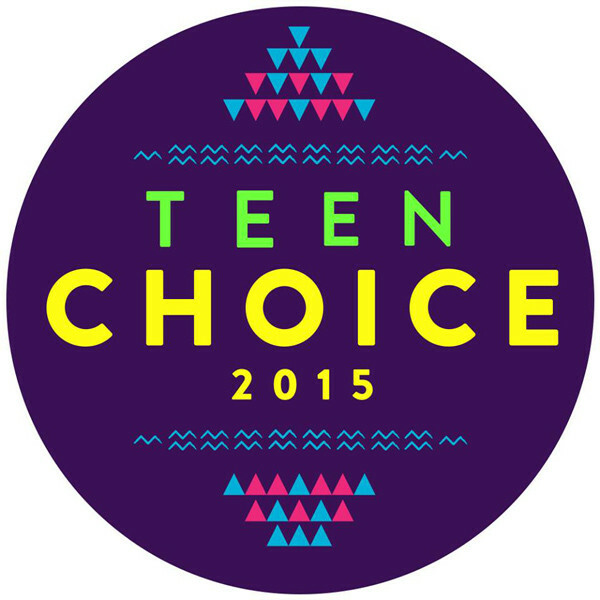 celindareyesblog July 13, 2015 No Comments on Monday Memos: 2015 Teen Choice Awards Predictions. Category: Monday Memos. Tagged: 1989, 2015, 20th Century Fox Television, Abby Lee Miller, Akiva Goldsman, awards, Bad Blood, Big Machine, bloggers, Brian Duffield, Brian Grazer, Bryan Stinson, Capitol Records, Collins Avenue Entertainment, Danny Strong, Danny Strong Productions, Douglas Wick, Empire, entertainment, fox, Francie Calfo, Gianna Martello, Holly Frazier, IIene Chaiken, IIya, Imagine Television, Insergent, Jeff Collins, Jessalnn Siwa, Jill Vertes, John R. Corella, JoJo Siwa, Kalani Hilliker, Kendall Vertes, kendrick lamar, KImberely Chessler, Kira Girard, Lee Daniels, Lee Daniels Entertainment, Lifetime, Lionsgate Films, Little Chicken INC., Mackenzie Ziegler, Maddie Ziegler, Manderville Films, Mark Bomback, Max Martin, Melissa Gsoni, Michael Hammond, Mike Aho, new, Nia Frazier, nominees, PMR, Pouya Shabazian, Red Wagon Entertainment, republic records, Robert Caplain, Robert Schwentke, Sam Smith, Scott Shatsky, Shellback, show, Summit Entertainment, surfboard, Taylor Smith, technology, teen, The Divergent Series, The Teen Choice Awards, tv, Veronica Roth, vloggers, winners, youtube, youtubers. Hello people of the internet!!! On today’s ‘Monday Memos’, we are going to recap the ‘2015 Billboard Music Awards’ (yay!!!). This year’s ‘Billboard Music Awards’ were hosted by rapper/actor Ludacris, and model Chrissy Teigen, and was definitely a show that we’ll be talking about for the rest of the year. One part of the show that we were all looking forward to was the premiere of Taylor Swift’s ‘Bad Blood’ music video. With a large cast of celebrities such as: model/actress Cara Delevingne, supermodel Cindy Crawford, and actresses Hailee Steinfeld, Selena Gomez, Lena Dunham, Zendaya, and many more. The music video was very action packed and had a very cool futuristic spy feel to it. This video was definitely unlike anything we have seen from Taylor, and really shows her evolution as an artist. Now let’s move on to the awards, and finally the performances (I’m only going to include a few of the awards & performances that were shown during the show, because if I included everything, I would have y’all here all day. If you want to see the full list of winners and performances, check out billboard.com). So are y’all ready? Ok, let’s go! We all had to see this one coming because One Direction has been an unstoppable force ever since their first single dropped in the U.S. They have won tons of awards, broken numerous records, and were recently named the first band in U.S. Billboard history to have their first four debut albums debut at #1. Ok now we all know how well 1989 did this year, but honestly what else would you expect from Taylor Swift!?! With hit singles that stayed in our heads all year like Shake It Off, Blank Space, and Style, it’s no wonder that 1989 has ruled 2015 so far. Now if you’ve listened to the radio at all this year, you are very familiar with Sam Smith’s music. His debut album ‘In The Lonely Hour’ went platinum, and won Best Pop Vocal Album at the 2015 Grammy Awards. Needless to say he’s had an AMAZING year. With the success of 1989, it’s obvious that Taylor Swift would have a great chance of winning this award so I honestly don’t think that anyone would be surprised here. Now you know you’ve been singing along to this one ever since it first came out. The fact that ‘All About That Bass’ has gone platinum 6 times in the U.S. definitely proves that Meghan deserves this award. I honestly don’t see this song’s popularity dwindling, and we wouldn’t have it any other way. Again it’s Taylor Swift, she seriously ruled the radio waves this year so none of us are even surprised here. So first of all we have to talk about is Nick Jonas’ performance of ‘Jealous’. This song was a really big hit for Nick this year, and the excitement of the crowd showed that this song is still a hit with fans. This performance had a lot of cool elements to it, such as awesome backboard graphics that really made this performance stand out. All in all this was a really cool performance that fans loved from beginning to end. Mariah Carey wowed us next with a performance that had everyone’s attention. She began her performance with her debut hit single ‘Vision of Love’, which is a song that we all still hold near and dear to our hearts. Next up we got to hear her new track ‘Infinity’. This performance definitely showed that Mariah is still able to impact is with her music, and will be an artist that we’ll keep coming back to for infinity. Ok now this is a song that we all have had on repeat for a while now and honestly you have to admit that you still cry whenever you hear it (Honestly how many times have you seen that music video featuring Paul Walker and just started to cry. #RIPPaulWalker). At the award show Wiz and Charlie were joined by YouTube star Lindsey Sterling who, as usual, blew us away with her amazing violin skills as. The vibe of the performance was very intimate and chilled which definitely made us all want to seriously cry. The emotionally charged lyrics were definitely front and center during this performance, due to Charlie and Wiz’s ability to deliver the song in a way that made us all feel the message of the song (seriously when Charlie started choking up during the song, I thought that I was going to lose it). This was another performance that everyone was looking forward too, because we love Britney, and we love Iggy, so when you put them together it’s just perf! This performance had a very 80s feel to it, and was such a fun number to watch. It was so interesting to see these two collab because their musical styles are so different, so it’s exciting to see what they will each do next. The ‘Kia One To Watch Artist’ Tori Kelly was up next, and she really showed how talented she truly is. It was amazing to see her completely captivate the audience without any special staging or effects. It really made you feel like you were able to personally connect with Tori and fall even more in love with her music. This performance made me really excited to see what’s next for her. This was certainly one of the night’s most talked about performance, due to the fact that the cult classic movie ‘The Breakfast Club’ turned 30 this year. This performance had a very rock concert sort of vibe and the crowd was just completely hooked from beginning to end. It’s really fun to see so many different people rocking out to their favorite song, and the energy was definitely brought up A LOT during the this performance. The last performance that we’re going to discuss is Imagine Dragon’s amazing performance of ‘Stand By Me’. This is a song that we all know and love, so it was so great to see that Imagine Dragons did their best to keep the original feel of the song intact, and molded their musical style to best fit the song. This was another tear jerking moment due to Ben E. King’s tragic passing recently, but I thought that this was a beautiful way for his incredible talent to be honored. 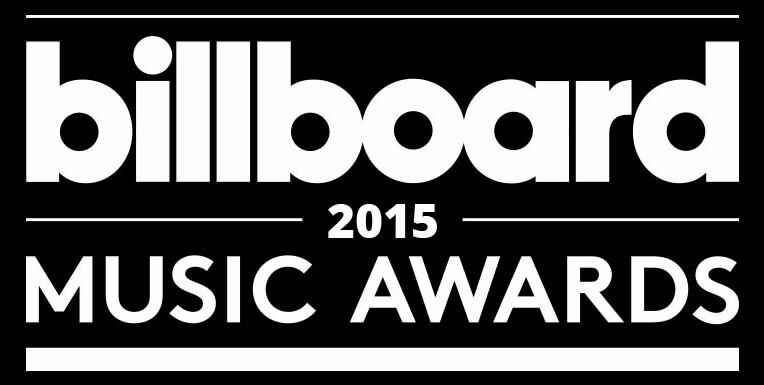 celindareyesblog May 19, 2015 1 Comment on Monday Memos: 2015 Billboard Music Awards Recap. Category: Monday Memos. Tagged: 1989, 2014, 2015, A&M Films, A&M Records, Ali Payami, All About That Bass, Andrew Cedar, Atco Records, atlantic records, Ben E. King, Ben Margulies, Big Machine Records, Billboard Music Awards, billboard.com, britney spears, Capitol Records, Cara Delevingne, Channel Productions, Charlie Puth, Chrissy Teigen, Cindy Crawford, Columbia Broadcasting System, Columbia Records, Def Jam Records, DJ Frak E, Eg White, Epic Records, Eric Hudson, Fraser T Smith, George Astasio, Grand Hustle Records, Greg Kurstin, Hailee Steinfeld, Ichiban Records, Iggy Azalea, IIsey Juber, imagine dragons, Imogen Heap, In The Lonely Hour, Interscope Records, Island Records, Jack Antonoff, Jade Thirlwall, Jason Pebworth, Jealous, Jerry Leiber and Mike Stoller, Jesy Nelson, Jimmy Napes, Jive Records, John Hughes, Jon Shave, Keith Forsey, Kevin Kadish, KIDinaKORNER, Komi, Legacy Recordings, Leigh-Anne Pinnock, Lena Dunham, lindsey sterling, Ludacris, Maegan Cottone, Marcos de Silva, mariah carey, Mattman & Robin, Max Martin, Meghan Trainor, Mercury Records, Method, music, Narada Michael Walden, Nathan Chapman, Naughty Boy, Ned Tanen, new, Nick Jonas, Nobody Love, Noel Zancanella, Nolan Lambroza, one direction, paul walker, Perrie Edwards, PMR, Pretty Girls, Priscilla Renea, RCA records, republic records, Rhett Lawrence, Rickard Göransson, Rostrum Records, Ryan Tedder, Sam Smith, Savan Kotecha, see you again, Selena Gomez, Shake It Off, Shellback, Simon WIlcox, SImple Minds, Sir Nolan, Sony Music Entertianment, Stand by Me, Steve Fitzmaurice, Steve Schiff, Syco Records, Taylor Gang Records, Taylor Parks, taylor swift, The Breakfast Club, The Invisible Men, Tori Kelly, Two Inch Punch, Universal Pictures, unrealitytv.co.uk, Virgin EMI Records, Virgin Records, Wiz Khalif, Zendaya. Hello people of the Internet!!! On today’s ‘Monday Memos’, we have an AMAZING new interview with rising band Crossley Hunter (you can check out my 1st blog post about them here: Monday Memos: Crossley Hunter…the newest band on the rise that YOU need to know about | celindareyesblog). In this interview I got to speak to Justin Hammond (who is the vocalist/guitarist in Crossley Hunter), about how the band formed, where they got their awesome name, and so much more! Please remember to look out for the band’s 1st full length album, which will drop later this year (don’t worry I’ll keep y’all updated on the release date! ), and support Crossley Hunter by checking out their newest song ‘Devil Smiling’ (you will be ADDICTED to it, trust me!). Also remember that if you’re in the area, definitely check out Crossley Hunter on April 23rd at the Rancho Relaxo in Toronto, Ontario & on May 4th, at The Rockpile in Toronto, Ontario. Ok are y’all ready? Let’s jump into the interview! Celinda: Let’s start off with who/what inspired you to pursue a career in the music industry? Justin: To be honest, I just decided I wanted to try playing guitar when I was younger because I was never huge into sports or anything. So my uncle took me out one weekend and helped me pick out my first guitar, and then I started taking some basic lessons. I soon realized that I had the most fun experimenting and trying to write my own stuff, and after about ten thousand hours of that, I started to kind of get the hang of it. Celinda: Cool, so how did Crossley Hunter form, and what inspired your name? Justin: Crossley Hunter essentially started a bit after Michelle and I started dating. We had met at a local show that my old high school band was playing, and started dating soon after. We had been together for several months before I even knew she played music, but I was pretty surprised to find out she was a classically trained pianist. She had given up playing when she was younger, but I sort of convinced her to start playing with me and experimenting with some of the music I had been writing. After we had a few songs written, I found out that her brother Jay had played guitar in a few bands growing up, and that he was also a pretty talented drummer. So he started playing and writing tunes with us, but we were still short a bass player. That’s when we got the idea to go out and buy a bass guitar for their other brother Joe (who also happened to be very musically talented). We jammed with various lead guitar players under various different band names over the years, but we eventually settled on the name Crossley Hunter for no other reason than it being the name of the road that Michelle, Jay, and Joe grew up on, and where we jammed at the time. Celinda: That is such an interesting story! So which artists/bands would you say have influenced your sound? Justin: I can’t speak for anyone else in the band, but some of my biggest musical influences growing up would have to be Matthew Good, Third Eye Blind, Our Lady Peace, Alien Ant Farm, Saves the Day, Weezer, the Pixies, Boys Night out, Radiohead… but that’s just to name a few. I listened to a variety of different stuff over the years. Celinda: Staying on the topic of influences, which artists/bands have influenced your sound that might surprise your fans? Justin: Well, listening to our music, most people probably wouldn’t think of The Doors as being a huge influence. But I’ve always been a huge Jim Morrison fan…. his vocal style has had a huge impact on mine. Celinda: Now let’s move on and talk about your upcoming album. First of all I just want to say that ‘Devil Smiling’ is an awesome song that I’m completely addicted to. Is this song a good indication of the vibe of the rest of your upcoming album? Justin: First of all, it’s so great to hear that you dig the tune! Your review of Devil Smiling was more than generous, so we’d like to thank you for that! To answer the question, I’d say that song is a pretty good representation of the album as a whole – which is why we’ve decided on it as the first track. I think the majority of the album has a similar feel… however there are a couple curve balls in there – just to keep things interesting! I mean, we really wanted John Wozniak to agree to sing on a song on the album, so we ended up writing a tune that kind of catered more to his brand of folk rock song writing. So in short: we do change up the pace and feel for a few of the tracks, but they all sound like Crossley Hunter. Celinda: I’m so glad that you enjoyed my review of Devil Smiling! Based on what you’ve just told me, I’m honestly even more excited to hear the album! So, I know it’s probably hard to pick favorites, but what’s one song off of the upcoming album that you’re really excited for fans to hear? If you can’t give us a name, then can you say whether it’s a more upbeat song, or a ballad? Justin: Umm, there’s a few that I’m pretty excited for people to hear. The song that John sings on called “Stomp, Clap, Drink” is a really fun tune, and it’s something different for us, so I’m interested to hear what people think of it. Another one I’m pretty proud of is the album closer “Aphelion” – it’s just got kind of a dark, raw feel to it that came through really well during the recording process. Celinda: I’ll definitely look out for those songs. So what’s one thing you wish you had known about the music industry before entering it? Justin: Well… it’s hard to choose just one thing, but I’d say what probably stands out most to me, is the ridiculous amounts of effort that independent musicians have to put in to get even minimal recognition. I don’t think the average person realizes just how hard aspiring musicians work, and how much of their effort ends up being entirely in vain. I know that in recent years especially, I’ve personally been feeling more and more cynical about the idea of ever accomplishing the goal of becoming an established musician – but then I have to stop myself and realize that that’s not really the reason I write music in the first place. The real value of writing and playing music lies in catharsis. Without this outlet, I think I’d be pretty spun. Celinda: I love that answer, it’s very insightful. So I know that you guys have some live performances coming up, do you have anything special that you do either individually and/or as a band to prepare for a live performance? Justin: Besides lots of practice? Nothing really comes to mind, other than maybe having a drink or two beforehand to help take the edge off! Celinda: Cool, so what advice do you have for anyone who wants to get into the music industry? Justin: I think this is a good place to pick up where I left off earlier: any aspiring musician should be prepared for years and years of hard work that may ultimately go entirely unappreciated. But again, if you’re just ‘in it to win it’, then you’re going about it the wrong way anyways. The only reason anybody should be wasting their time on music is if they truly enjoy it. Besides, the sense of community that comes with being involved in some of these local music scenes is worth all the effort alone. Some of the best people I’ve ever met came into my life as a direct result of my involvement in these independent music scenes, so for me, that alone has made all the effort worth the while. Celinda: Lastly, do you have anything else you’d like to say to any of your fans who are reading this interview? Justin: I’d just like to say that we all really appreciate anyone and everyone who gives us the time of day, and everyone who has, and continues to support us by coming out to shows and such. We’re extremely excited to release our first full length album this summer, and we really hope that everyone enjoys listening to it as much as we enjoy playing it! Celinda: Thanks so much for taking the time to speak with me today! Justin: Thank you for having interest in our music, and thanks again for the thoughtful review you did for us! celindareyesblog April 20, 2015 No Comments on Monday Memos: Interview with YOUR new fav band Crossley Hunter. Category: Interviews, Monday Memos. Tagged: 3 Doors Down, Alien Ant Farm, amazing, artist, awesome, band, Ben Andress, Blacktop Records, Canada, Capitol Records, coldplay, Crossley Hunter, facebook, instagram, John Wozniak, Marcy Playground, Mike Norberg, Mushroom Studio, music, new, Ontario, Pearl Jam, Rancho Relaxo, Reverbnation, The Agency Group, The Dying Arts, The Rockpile, Thirty Seconds To Mars, Toronto, twitter.